The Self-Balancing Scooter, or more widely known as simply the hoverboard, has quickly become one of the most popular toy-gadgets for both kids and adults alike. It’s fun, promotes outdoor activities and is an excellent alternative for public transport in the city. However with hundreds of seemingly identical hoverboards for sale on the internet, how can we be sure that ours is indeed safe? In this article I will explain why most hoverboards have exploded so far as well as share a couple of tips and tricks on how to avoid buying a potentially dangerous hoverboard for yourself or your family. 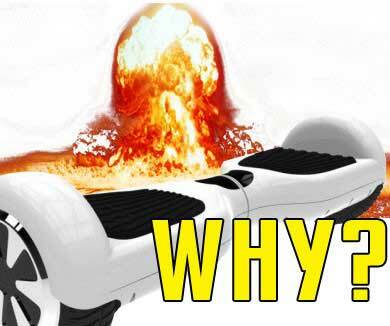 Why do so many hoverboards explode? Ever since hoverboards caught the attention of mainstream media, there have been countless of reports of hoverboards either exploding or catching fire. While most of the time these faulty self balancing scooters have ended up causing just minor damage to people’s homes, there have been some, more extreme cases where people have gotten seriously hurt because of these expensive toys. So what’s the deal? Why are these things so prone to spontaneously combust? Short answer: It has to do with the Lithium-Ion battery packed inside. When a piece of technology becomes popular enough, other, smaller companies will eventually build cheaper knockoff versions of said product in order to make a quick profit from the hype. However the lower price isn’t an act of kindness on their behalf. Nope! The low price comes from using lower quality parts within the gadget itself and the vast majority of exploding hoverboards have had a bad battery stuffed inside of them. Generally speaking, all Lithium-Ion batteries work the same way. When you charge the battery, the positive electrode (cathode) gives up some of its Lithium Ions to the negative (anode) and when it’s discharging (when in use) the Ions move back to the positive electrode. 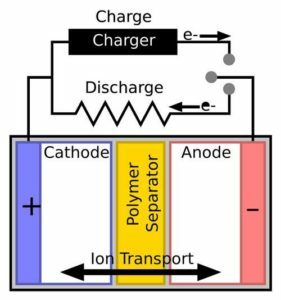 The ions move through the separator between a cathode and anode and its purpose is to keep the two electrodes apart to prevent electrical short circuits. In cheaper batteries the separator could be misaligned or it may have small micro holes due to the impurities of the materials and therefore electrical short circuits can occur. When this happens a lot of heat is generated inside the battery cell which leads to electrolyte boiling, the rupture of the cell casing and eventually (surprise surprise) a fire. How to avoid buying a bad hoverboard? Unfortunately there is no sure way of telling whether a board will explode or not because you have to actually use the device for a little while in order to “wear out” the battery. It’s a good idea to choose a reputable manufacturer who isn’t trying to hide the source of their batteries. Another recommendation is to avoid anything that costs less than at least a couple of hundred bucks. While you don’t necessarily need the IO Hawk that goes for more than a thousand dollars (unless you’re a show-off), you should still avoid cheap Chinese replicas that sell for just $100 on ebay, for example. From my own research I can say that $300-$500 seems to be a reasonable price range for a safe hoverboard scooter.